Since announcing the Public preview for Performance Test on web and mobile apps and the ability to chain a Performance testing with App Service Continuous Deployment the most requested feature has been the ability to execute multi URL tests. 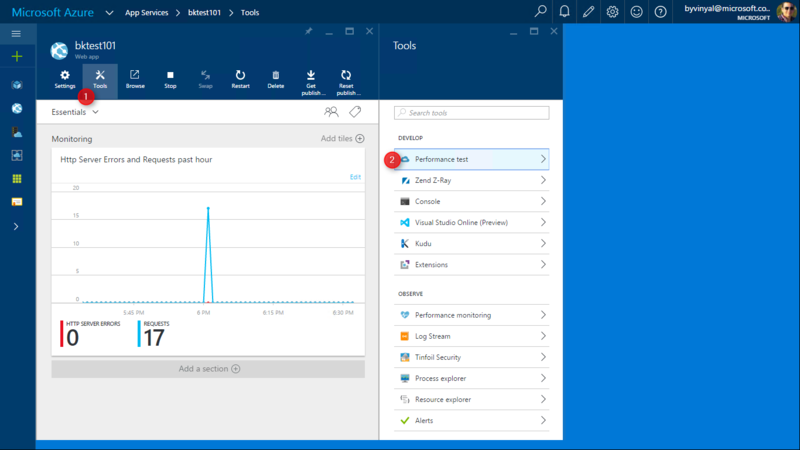 We continued to work with the Visual Studio Load Testing team and I’m happy to announce this feature is now available in production. Read more about this on the Visual Studio team blog. Multi URL tests let you execute performance tests that more closely resemble the behavior of a user navigating through your application. The Multi URL test will ping a list of URLs in order instead of just pinging a single URL over and over. This could represent a user going from the main page of the site, to a list of search results, then to a few individual items in your site’s catalog. The first thing you will need to do is define a list of URLs that will be targeted during the test execution. Detailed instruction on how to do that can be found in the documentation article, Create web tests using Visual Studio. Once you have generated your .webTest file you will need to author the performance test. 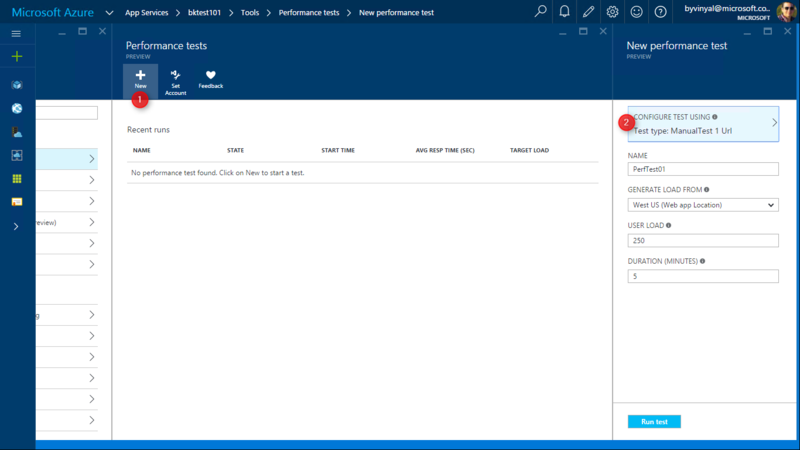 You can find (2) performance test under (1) Tools menu of your application in the Azure portal. 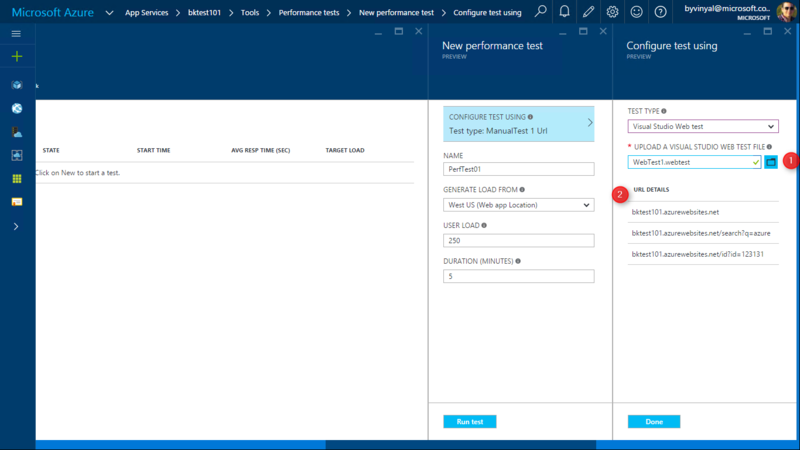 Once in the Performance Test blade you can click (1) New to author a new test and (2) Configure test using to select between single and multi URL. From here you can (1) Upload your .webTest file and (2) review the list of URL to be pinged during the test. Please let us know what your thoughts, questions and ideas are in the comments section below, or via our UserVoice feedback forum.